Beavers Win! Beavers Win! 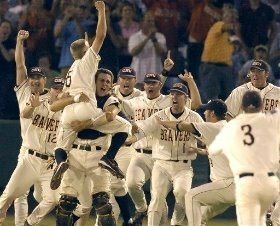 Beavers Win! OMAHA, Neb. (AP) — Bill Rowe scored the go-ahead run on second baseman Bryan Steed’s throwing error in the bottom of the eighth inning, and Oregon State held on to beat North Carolina 3-2 for its first College World Series title Monday night. 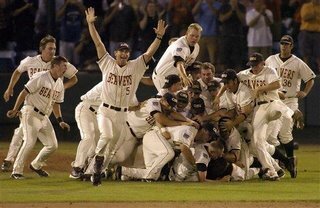 The Beavers (50-16) became the first team in CWS history to lose twice in Omaha and win the national title. 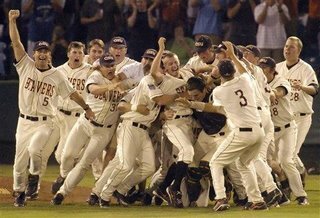 Oregon State also is the first truly Northern-based school to win the series since Ohio State in 1966.